The yield of the Pension Funds has undergone a sharp drop in recent months, as a result of the downturn of the external and internal stock markets. Due to doubts and comments appearing in the media claiming that the Chilean system has failed, I wish to highlight some studies performed by specialists on the subject that confirm the good performance of the Chilean individually funded system, which began operating in 1981 and has currently been in force for nearly 27 years. 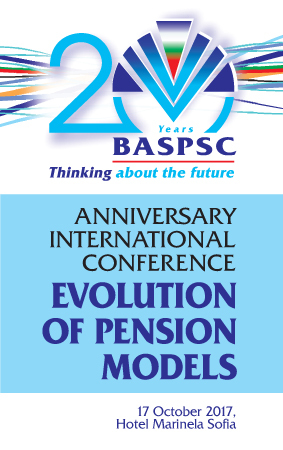 The Financial Supervision Commission has approved a minimum rate of return of -0.64 % on an annual basis , resulting from the management of the Universal Pension Funds’ assets for the preceding 24-month period considered from 30 September 2006 till 30 September 2008, while for the same period of time the minimum rate of return for the Occupational Pension Funds has been determined at -1.56 % on an annual basis. The Financial Supervision Commission has approved a minimum rate of return of 4.04% on an annual basis , resulting from the management of the Universal Pension Funds’ assets for the preceding 24-month period considered from 30 June 2006 till 30 June 2008, while for the same period of time the minimum rate of return for the Occupational Pension Funds has been determined at 3.76% on an annual basis. The Financial Supervision Commission has approved a minimum rate of return of 4.89% on an annual basis, resulting from the management of the Universal Pension Funds’ assets for the preceding 24-month period considered from 31March 2006 till 31 March 2008, while for the same period of time the minimum rate of return for the Occupational Pension Funds has been determined at 4.82% on an annual basis. On January 8th, 2008 the Financial Supervision Commission approved the minimum rate of return for the Supplementary Pension Security Funds for the period from 30 December 2005 till 28 December 2007 on an annual basis. The Financial Supervision Commission has approved a minimum rate of return of 7.24% on an annual basis, resulting from the management of the Universal Pension Funds’ assets for the preceding 24-month period considered from 30 December 2005 till 28 December 2007, while for the same period of time the minimum rate of return for the Occupational Pension Funds has been determined at 7.49% on an annual basis.